The 2019 Kinetic Studio Season continues with our second haunting, invigorating, exploratory Open Studio Series. 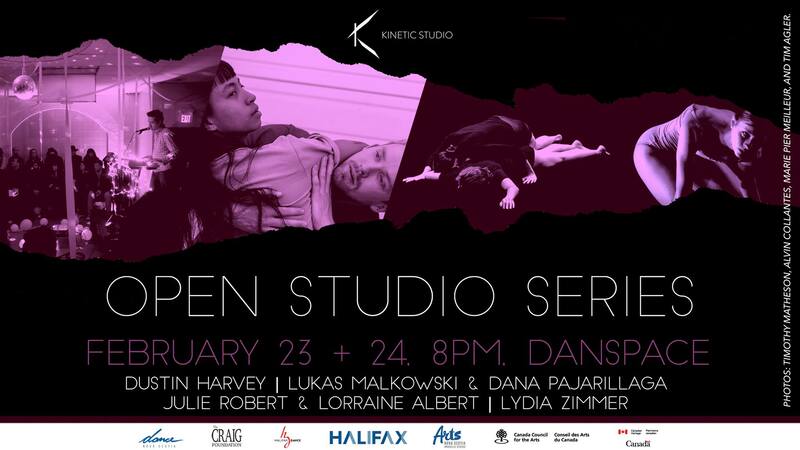 An evening of dynamic, imaginative and engaging work from both local and out-of-town dance artists! This evening takes place in K'jipuktuk, on the ancestral and unceded traditional land of the Mi'kmaq people. Thanks to Arts Nova Scotia, the Canada Council for the Arts, the City of Halifax, Dance Nova Scotia, the Department of Canadian Heritage, Halifax Dance, and Joan Craig.